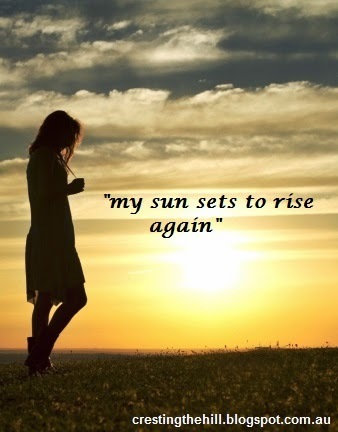 I was perusing tumblr the other day and I saw this little quote: "my sun sets to rise again" ~ from Robert Browning. It caught my eye because it applies to this time in my life as I transition from one stage of life to another - not bad seeing he wrote it in 1846! I've finally left my job behind - after 30+ years of almost ceaseless employment (albeit in a number of jobs). I've wrestled with my "play it safe" personality over this decision for the last couple of years and put it off longer than necessary. My time is short and getting shorter by the minute, so why continue doing something that doesn't bring me joy? Another quote from 'At The Mermaid' - where the one above came from is "Do your joys with age diminish?" and I refuse to answer that with a 'Yes'. From now on my joys are going to increase with age so that I can look back on these midlife years and smile, knowing I made the most of every opportunity that came along. I want to invest more of my time in what adds value to my life, rather than going through the motions because it's what's expected of me. It's a little self indulgent to think that I can kick back and be a lady of leisure, but this is my moment in the sun. It's my time to be a little bit selfish and focus on getting a twinkle back in my eye. My hope is that my sun will "rise again" when I have my head together and a spring back in my step and then I'll be ready to put myself out there again to compete with all those young things for a place in the workforce. There's always someone looking for a 'mature' employee so I'll be keeping my eyes open while I enjoy relaxing a little and doing my own thing. I love your post because so much of it is exactly what I'm experiencing right now. Left a fifteen year career to live life on my own terms, work for myself, raise my daughter, play in the sun...all of it. I hope you are drinking in every beautiful moment! Thanks Lisa - I am gradually getting the hang of being allowed to enjoy life - it's a new sensation and I'll remember to drink it all in! So wonderful to be in the moment! Things will come. They always do. So let's enjoy what we have right now! thanks Sue - the encouragement never goes astray! In my case, I have to say that I have never had so much join in my life. It is a desire to make things happen, better that I cannot describe. Thanks for sharing it on #debbieinshape! you are certainly a great motivator for me Deb - I love your enthusiasm for everything! I hope to be able to do the same thing some day! I do find it exciting that you've left your job and are opening up your time to so many different experiences. It will be fun to watch it unfold. Thanks for joining in on #MidLifeLuv, we're so glad to have you! Hi Leanne- This is a great post about finding your place, and just learning to enjoy life. 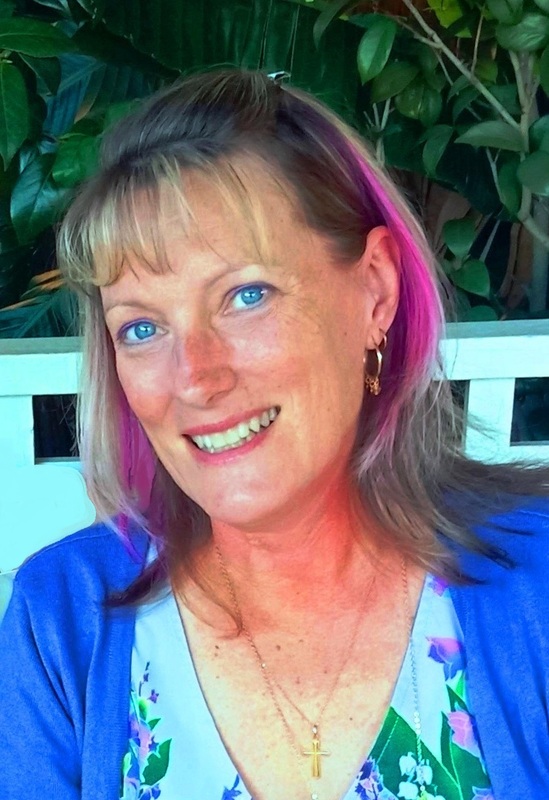 I've found you via the #MidLifeLuv Link up. Looking forward to following your journey. Great reminder to add things into our life to enjoy life along the way, since leaving work is not an option at this time of my life.